Takes a Very Good Opening on Day 1! 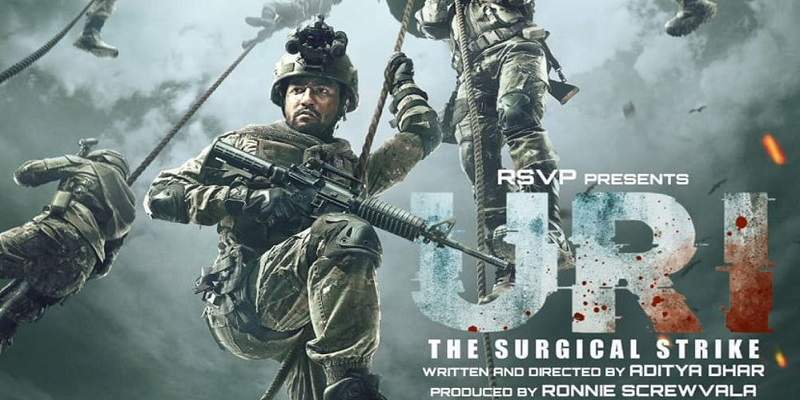 'Uri The Surgical Strike' took a very good start at the box office, collecting around 8.2 crore on its opening day, which is better than what was expected from it. The trade had predicted the film to do a business of around 5 - 6 crore on its first day, but the film has surpassed all the predictions. The two week gap between the last release (Simmba) seems to have benefited the film. 'Uri' has also bagged the most number of screens this Friday. Uri released alongside 'The Accidental Prime Minister' featuring veteran actor Anupam Kher. Uri is at an advantage of being a patriotic action film, as movies with patriotic themes have performed well at the box office of late. The film was bound to do well at both single screens and multiplexes, because of its action genre. But the film did better business at the multiplexes on Day 1. The Day 1 collections are very good considering the movie lacks a big star, and is a content oriented film. Uri faces competition from 'The Accidental Prime Minister', which has done average business on Day 1. But 'The Accidental PM' is bound to fall, and will fizzle out in the coming days, as the hype dies down, as the reviews and word-of-mouth are largely negative. Uri opened to mixed reviews from the critics, and the audience word-of-mouth seems to be leaning on the positive side. Uri may show good growth at the box office on Saturday and Sunday. Total Screens - Around 2400 screens all across India. Total Budget - Around an estimated ~35 crore Rupees. Cost of Production: 28 crores; P&A: 7 crores. Day 24 (Sun): 8.75 cr. Day 28 (Thu): 2 cr. Day 29 (Fri): 2 cr. Day 30 (Sat): 4.5 cr. Day 31 (Sun): 5.25 cr. Day 32 (Mon): 1.65 cr. Day 33 (Tue): 1.5 cr. Day 34 (Wed): 1.5 cr. Day 35 (Thu): 1.25 cr. Overall Total: ~230.5 crores nett in India.